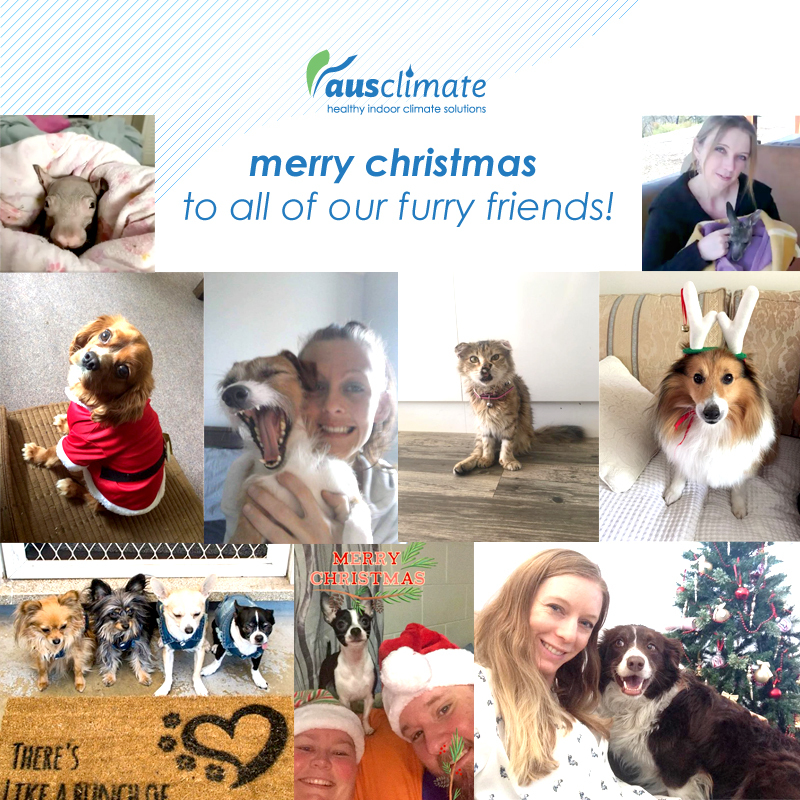 We've had just an amazing response to our Ausclimate Christmas Air-Purifier Competition so far & have been blown away with the amount of great entries! We've also been surprised & delighted by the amount of snaps of your adorable furry friends that have been sent in! It sure is going to be a tough choice in picking the winner, that's for sure! We just wanted to send out a final reminder that competition entries close at 11.59pm AEDT tonight (20/12/2017). So if you haven't got your entry in yet, time to get to it! Jump on over to our Facebook competition post for your chance to WIN a WINIX Ultimate 5-stage air-purifier. We'll be making our official 'video' Winner Announcement on Friday (22/12/2017). So stay tuned folks! 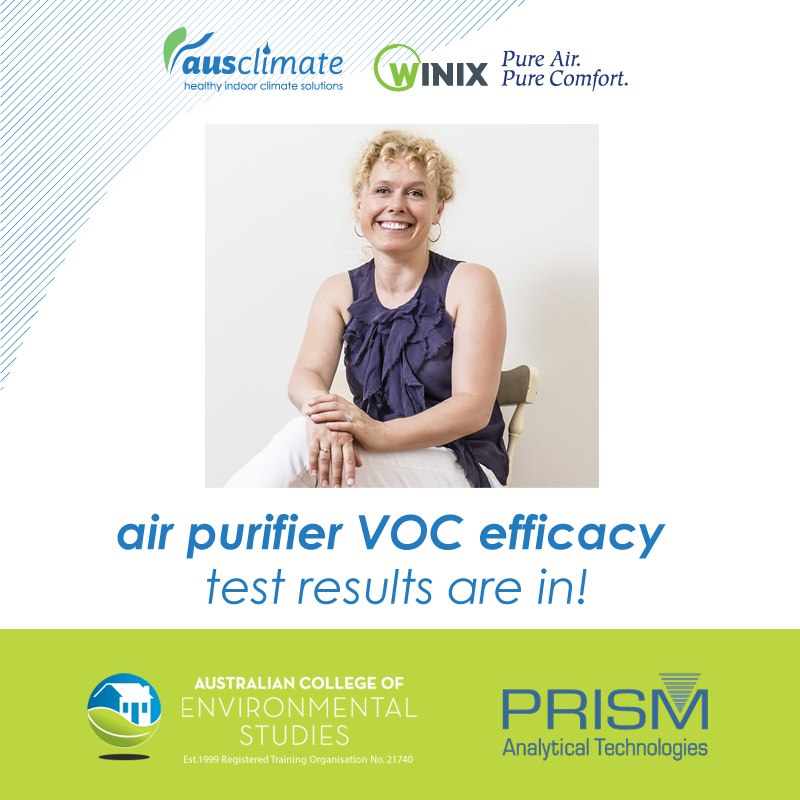 Ausclimate are extremely proud to share our recent independent VOC Testing Results for our Winix Ultimate 5-Stage Air Purifier, but firstly, just what are VOCs? Volatile Organic Compounds (VOCs) are chemicals that can easily enter the air in our home from many commonly used household products. The list of VOCs in your home seems endless. And yes, they’re everywhere: the materials used to build our home, plywood & wood products, carpets, soft furnishings, upholstered furniture, oil & solvent based cleaners, nail polish & other personal care products, adhesives & paints, aerosol sprays, even the vehicle emissions entering our homes. Use high quality air purifiers. It’s well known that HEPA filter within the Winix Air Purifiers are designed to remove airborne pollutants in our homes, including those tiny particles of dust, mould, smoke, pollens, viruses and bacteria. But the HEPA filter alone are not designed for VOC removal. It’s really the Winix ACTIVATED CARBON filter, as well as Winix PlasmaWaveTM technology that are the most important features when it comes to removing VOCs (such as formaldehyde & other dangerous chemicals). Winix proudly state that the Winix Ultimate 5 Stage Air Purifier is in a field of its own when it comes to removing VOCs from the air in our homes. And there’s little doubt that the Activated Carbon filter, as well as Winix PlasmaWaveTM technology are responsible for these high-efficiency rates. But, here in Australia, we wanted to go one step further, to have our own testing performed too – just to be sure! So, we enlisted Melbourne-based indoor environment industry expert, Nicole Bijlsma (pictured), CEO of the Australian College of Environmental Studies to carry out independent VOC efficacy testing of our Winix Ultimate 5 Stage Air Purifier. Nicole completed the VOC air testing in Bayswater, Melbourne in 2017 & had the samples analysed by Prism Analytical Technologies (USA). We’ve already established that there are more potentially hazardous chemicals in our homes than we want to even think about! From everyday household cleaners, to furniture materials, to common glues, paints & plastics found in the home; even experts have little knowledge on their potentially long-term & dangerous effects on human health. Simply put, these results prove that Ausclimate’s Winix Ultimate 5 Stage Air Purifier will actively remove many of these airborne chemicals straight out of the air in our rooms, as effectively as 80% in one hour! In the big picture, these results are just great news for people with chemical sensitivities (or just wanting to reduce their chemical exposure) because this is real evidence that our Winix Ultimate 5 Stage Air Purifier can effectively protect you & your family from many of these everyday chemical nasties that are found in the common home. 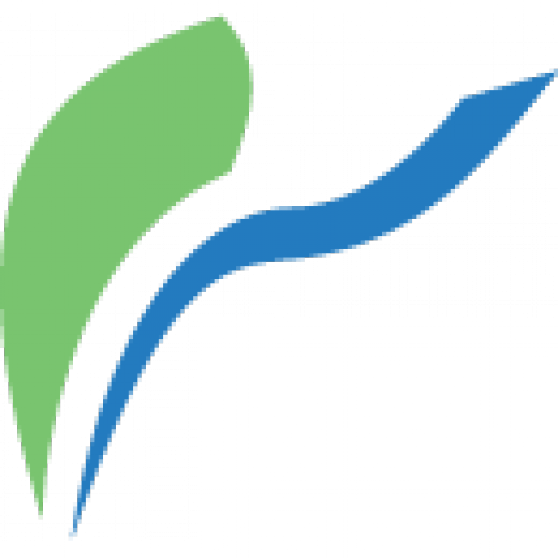 * Testing results provided by the Australian College of Environmental Studies via Prism Analytical Technologies, Inc., the creator of IAQ Commercial Survey. Prism has been performing air quality assessments to industry and environmental consultants since 1995. IAQ Commercial SurveyTM is one of the most advanced, trusted air testing products on the market today for identifying chemical sources and active mould growth. Model tested: Winix Ultimate 5-Stage Air Purifier (AUS-9500). Detailed testing results available on request. Thank you, we hope that this information & test results have been helpful & as always, if you have any questions, please don’t hesitate to get in touch. Seriously though, it's been heartwarming to see many of our customers purchasing our Winix air purifiers as gifts for their loved ones in need this time of year. What a great way to show that you care this Christmas (& allergy) season. 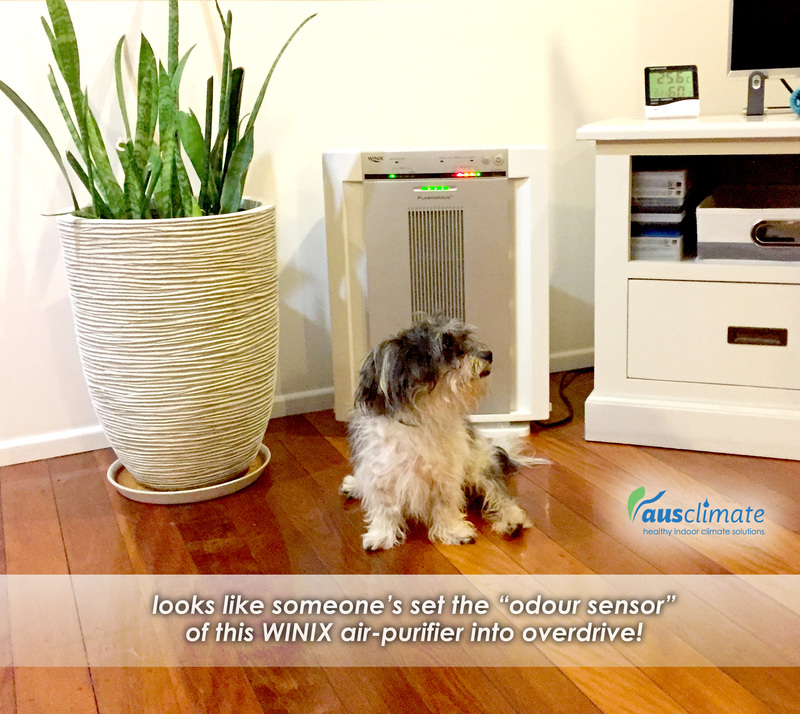 Looks like a certain gassy little dog has set the "odour sensor" of this WINIX air-purifier into overdrive! Our furry-friend, Ziggy (pictured) politely disagrees with this statement. Everyone loves our furry best friends but for many of us, pet-related allergies & hay fever can be more than a handful. Our WINIX ultimate 5-stage air-purifier can really be a game changer. In many circles, our 5-stage unit has actually come to be known as the "Pet Air-Purifier". Not only do they do a great job of actively removing allergens such as pet dander from the air, they also remove many airborne pollutants from the air in your home, making for a healthier indoor environment for man's best friend! Don't forget, we are also currently in the midst of our Ausclimate Christmas Air-Purifier Competition. So please take a gander at our Facebook competition post for your chance to WIN a WINIX ultimate 5-stage air-purifier of your own! Ausclimate is giving you the opportunity to win a AUS-9500 WINIX Ultimate 5-Stage Air Purifier valued at $795 RRP. To win this fantastic Ultimate 5-Stage Air Purifier simply let us know "How this WINIX air-purifier could help you this Christmas season" in approximately 50 words or less, in the respective Facebook Post comment section. Commences 8:30pm AEDT on 4/12/2017 and concludes at 11.59pm AEDT on 20/05/2016. 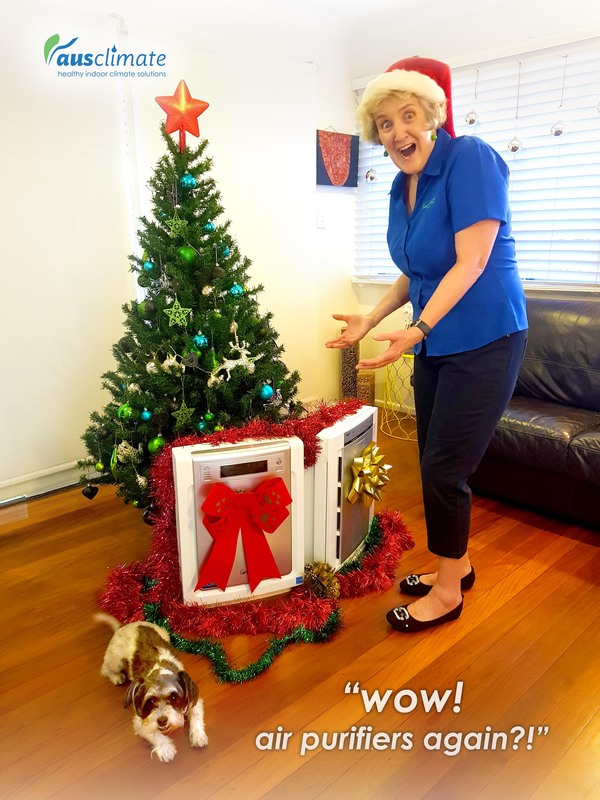 Entry method during the competition period: entrants must: (a) visit the Ausclimate Facebook Page at our ‘Christmas Air-Purifier Competition’ post and write how our WINIX Ultimate 5-Stage Air Purifier can help you in approximately 50 words or less. All entries must be received during the competition period. Consumers may only enter once during the competition period. If multiple entries are submitted, only the first entry will be accepted. Approximate 50 words or less limitation is to be taken as a guideline, not an absolute limit. Firstly, a big thank you for everybody supporting our month-long Ausclimate Lung Health Awareness Month initiative. We've been just delighted by everyone doing their bit to help us spread the word about this cause, so much so that we'd like to officially extend our Lung Health Awareness Special through close-of-business, Monday the 4th of December! So if you have any friends or family with home moisture problems or air quality issues, the rest of this week & weekend will be a great opportunity for them to take advantage of some excellent, limited-time specials. We are proud to be offering an EXTRA 10% OFF* our already reduced Ausclimate website special sale prices store-wide when you mention "Lung Health Awareness Month". To take advantage of this offer, please visit the Ausclimate website to view our full range of dehumidifiers & air purifiers, then call us on 1800 122 100 (freecall), making sure to mention "Lung Health Awareness Month" when placing your order. * Offer eligible when mentioned during over-the-phone orders only until close of business, Monday the 4th of December, 2017. 10% off all current listed Ausclimate website prices for Ausclimate over-the-phone orders only. Offer not eligible on previous orders. Commercial range not included in offer. Check in With Your Lungs! As Ausclimate continues our mission of sharing handy info & resources for better breathing throughout Lung Health Awareness Month, we have a particularly good one here; The Lung Foundation Australia's Lung Health Checklist! Lung Health Awareness Month is about encouraging our fellow Australians to take their lung health seriously & recognise symptoms early in both themselves & loved ones. We encourage everyone to check in with their lungs with this quick & easy checklist. It only takes a few minutes & the simple questions will help to recognise symptoms & risks of lung disease as well as the need to act promptly. Give it a go! As we get to the tail-end of November, a reminder that for the month of November, we are proudly offering an EXTRA 10% OFF* our already reduced Ausclimate website special sale prices store-wide when you mention “Lung Health Awareness Month”. To find out more about Lung Health Awareness Month or get involved, please visit http://www.lungfoundation.com.au/LHAM or phone the Lung Foundation freecall Information and Support Centre on 1800 654 301. Thank you so much for tuning in during Lung Health Awareness Month & helping us to raise awareness for this important cause. * Offer eligible when mentioned during over-the-phone orders only for the month of November 2017. 10% off all current listed Ausclimate website prices for Ausclimate over-the-phone orders only. Offer not eligible on previous orders. Commercial range not included in offer. Respiratory Issues? Maybe We Can Help. Hi folks! In this quick video I explain just how air purifiers & dehumidifiers can help to provide relief to many people affected by lung disease & assorted respiratory issues. Lung Health Awareness Month is about encouraging our fellow Australians to take their lung health seriously and recognise symptoms early in both themselves, and loved ones. As we near the end of November, a reminder that for the month of November, we are proudly offering an EXTRA 10% OFF* our already reduced Ausclimate website special sale prices store-wide when you mention “Lung Health Awareness Month”. Stay tuned to this space through the rest of Lung Health Awareness Month as we’ll be continuing to share more great information and resources to raise awareness for this important cause. Ausclimate are doing our part for Lung Health Awareness Month with our Lung Health Awareness Month Special. This unprecedented special is all about spreading the word about the important health issue that is Lung Disease and getting products that can make a difference into the hands of those who can use them most! For the month of November, we are proudly offering an EXTRA 10% OFF* our already reduced Ausclimate website special sale prices store-wide when you mention “Lung Health Awareness Month”. To take advantage of this offer, please visit the Ausclimate website to view our full range of dehumidifiers & air purifiers, then call us on 1800 122 100 (freecall), making sure to mention “Lung Health Awareness Month” when placing your order. 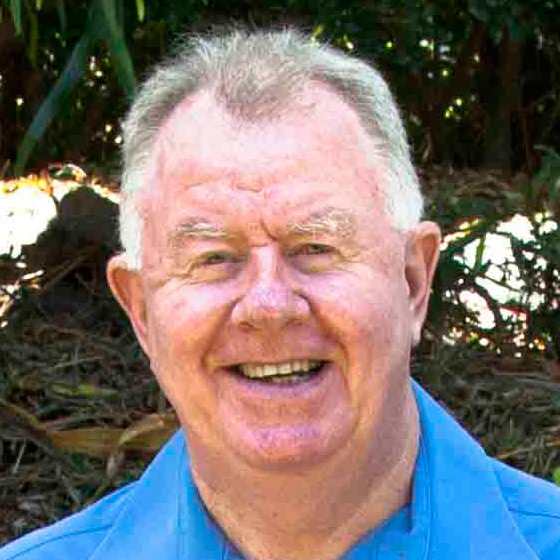 To find out more about Lung Health Awareness Month or get involved, please visit http://www.lungfoundation.com.au/LHAM or phone the Lung Foundation freecall Information and Support Centre 1800 654 301. Stay tuned to this space throughout Lung Health Awareness Month as we'll be sharing more great information and resources throughout the month to raise awareness for this important cause. Ausclimate Lung Health Awareness Month Special! Ausclimate are doing our part for the Lung Foundation Australia Lung Health Awareness Month. This month is all about encouraging our fellow Australians to take their lung health seriously and recognise symptoms early in both themselves, and loved ones. For the month of November, we are proud to officially announce that we will be offering an EXTRA 10% OFF* our already reduced Ausclimate website special sale prices store-wide when you mention "Lung Health Awareness Month". Stay tuned to this space throughout Lung Health Awareness month as we'll be sharing some great information and resources throughout the month to raise awareness for an important cause.